Raspberry Muffins are a delicious summer treat that showcase the flavors of fresh berries in a simple, decadent snack! Tender, flaky muffins are baked with perfectly fresh raspberries for a wonderful, tasty snack at any time of day. Substitute other fresh berries as needed, or even fold in a mixture of seasonal berries for a truly original dish. 2. In large bowl combine flour, sugar, baking powder, and salt. 3. In a separate bowl combine egg, milk and butter. Add to dry ingredients and stir until just moistened. 5. 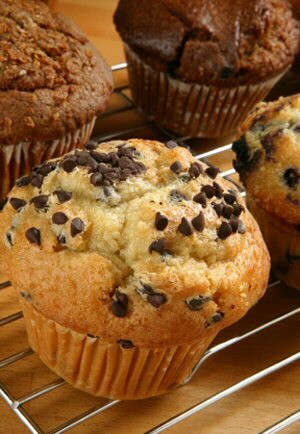 Bake for 20-25 minutes until slightly browned, and until a toothpick inserted into center of muffin comes out clean.